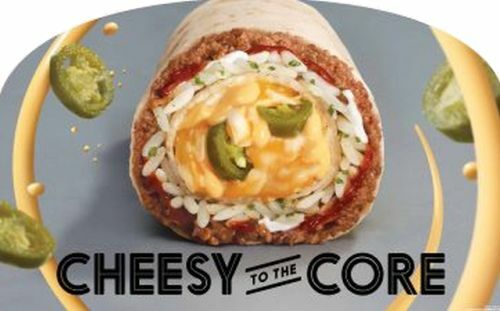 Taco Bell recently started testing what is essentially a reverse Quesarito in the new Core Burrito out in Toledo, Ohio. By that, I mean it features a layer of two tortillas sandwiching meat wrapped around a cheesy core (as opposed to a quesadilla wrapped around a meaty core). There are new versions being tested: the Spicy Core Burrito and the Crunchy Core Burrito. 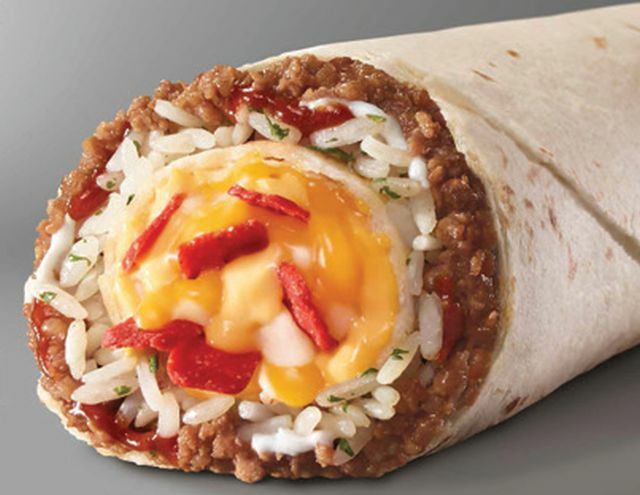 The Spicy Core Burrito looks to have a layer of meat (seasoned ground beef, chicken, or steak), rice, and hot sauce in the outer layer and a core of nacho cheese, shredded cheese, and jalapenos. The Crunchy Core Burrito includes the same layer of meat, rice, and hot sauce but with a core of nacho cheese, shredded cheese, and red tortilla strips. Both start at $1.99 for the seasoned ground beef version and are also available in a $5.99 Big Box along with a DLT, Crunchy Taco, and medium drink. The Toledo area is a popular test market for Taco Bell and is where they tested the Quesalupa, which eventually went on to a big national launch. The Core Burritos were also spotted in a limited test here in Southern California last December.